The stylish Clair De Lune grey wicker moses basket is both crisp and fresh and is the perfect place to house your new arrival. 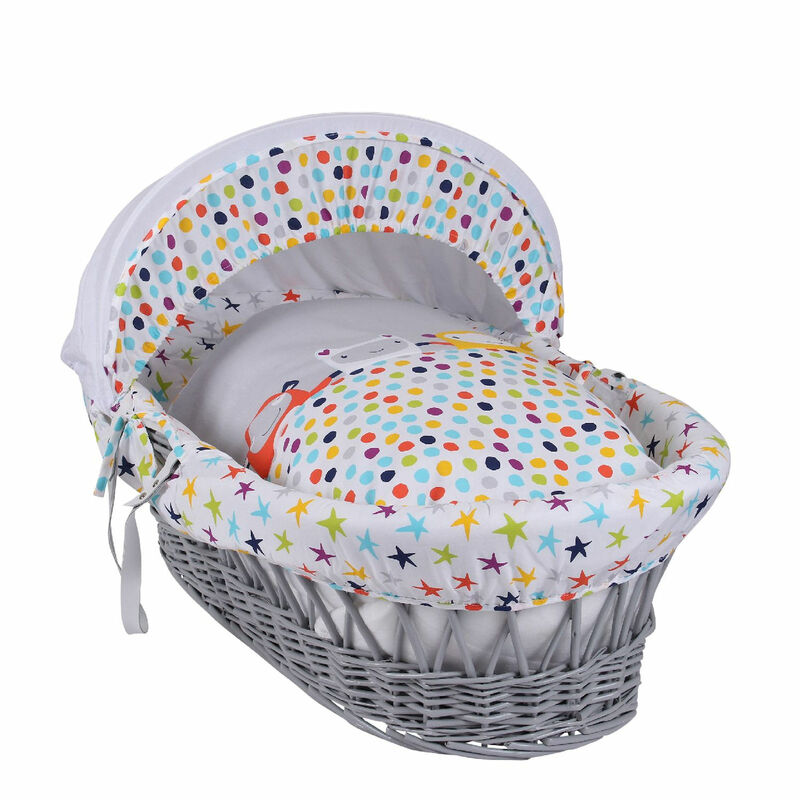 Made with top quality grey wicker with leather handles and soft luxurious fabric, the moses basket is lightweight, easy to carry and comes complete with safety mattress, co-ordinating hood, quilt and a padded liner featuring cute little characters having fun! 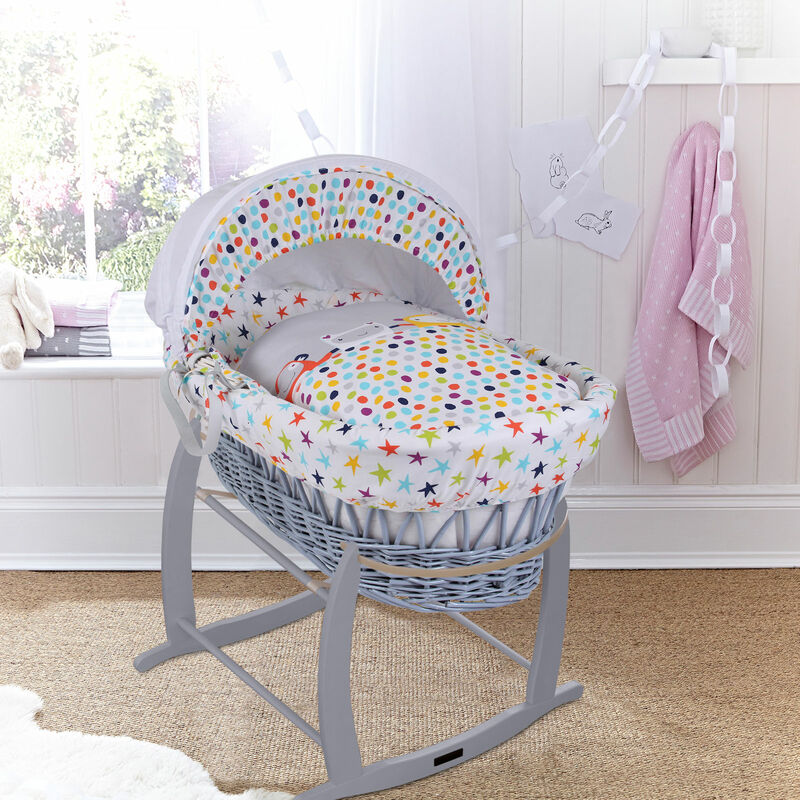 The adorable characters co-ordinate beautifully with polka dots and stars in bright colours, bringing your nursery to life.